soulskier wrote: Homie mentioned a 25 degree slope in a serious vert thread, that warrants a crack. 25 degrees isn't even steep enough to slide, which is where a slope then becomes "serious". It was a stake in the ground as minimum criteria. Of course, I'm fairly convinced that such a point is completely lost on you. You want the whole world to know how freakin' great you are. Dude, I'm so rad, check me out! I would still be interested in soulskier's response to flyover's and my comments on the previous page. Soulskier's pics from Las Lenas are nearly always from the powder days when he can put it in 4th gear or more. But we all know that Las Lenas can go weeks with no new snow and that the wind can pack it pretty hard. That vertical becomes a lot more serious in terms of consequences in those circumstances and the technical demands upon one's skiing ability much higher. I would be much more inclined to trust, say, Patrick's well-honed hardpack skills in those situations than the "4th gear" I see at Mammoth and LCC from Adam and BobbyD. Tony Crocker wrote: I would still be interested in soulskier's response to flyover's and my comments on the previous page. Not me. I get it now. Clearly, the Sans Nom terrain depicted on the previous pages qualifies as "serious vert" or "serious terrain" ONLY on powder days when, compared to more prevalent firmer conditions, the vertical is a lot less serious in terms of the likely consequences of a mistake and/or the technical demands of the skiing. Makes perfect sense to me. Hey Tony, when you were skiing those long, steep couloirs in La Grave, I'm sure you saw a lot of "pretty fast, but not quite full speed" skiing, right? soulskier wrote: KT-22, where . . . You can see first hand the speed these days. Well, I am a little out of touch. I means it has been, hmmmm, about six days since I was last on skis. Although I will freely admit that was only at Buckhill, the local molehill where I have been teaching my 4-year-old daughter to ski, and where, I can assure you, nobody has ever skied fast. Tony Crocker wrote: I would still be interested in soulskier's response to flyover's and my comments on the previous page. Soulskier's pics from Las Lenas are nearly always from the powder days when he can put it in 4th gear or more. But we all know that Las Lenas can go weeks with no new snow and that the wind can pack it pretty hard. That vertical becomes a lot more serious in terms of consequences in those circumstances and the technical demands upon one's skiing ability much higher. I would be much more inclined to trust, say, Patrick's well-honed hardpack skills in those situations than the "4th gear" I see at Mammoth and LCC from Adam and BobbyD. Tony, the windboard/buff at Las Lenas is normally the ideal condition to really let it rip. In fact, along with corn, is our favorite snow type due to it's consistency and predictability. Powder skiing at Lenas is often a sketchy endeavor. While Mammoth only has this terrain/snow surface in 1,000 vertical increments, I'm quite familiar via Mammoth experience with the varied wind effect snow. Sometimes it's more edgeable than other times. Sometimes it's smooth so you can be confident with more speed. Sometimes it's irregular with sastrugi (like last week) so you have to be more deliberate. 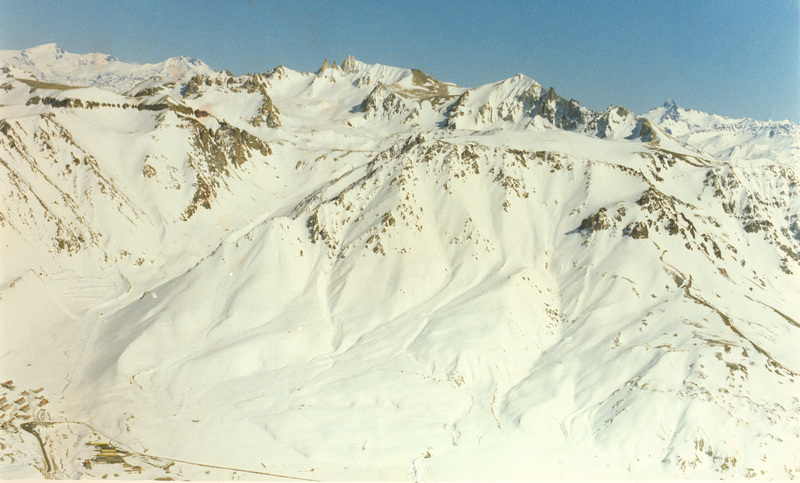 In the case of 3,600 vertical La Vaute at La Grave it had not snowed for a month. The upper 1/4 of the couloir was 35+ degrees with what most of us would call "tight" chalk. It had not been through a melt freeze, but was pretty firm and a fall would have high consequences. The lower 3/4 was not quite as steep but still 30+ and had been through a melt/freeze and was thus closer to frozen granular. One of the Extremely Canadian clients was sufficiently spooked by the exposure and conditions that she skied most of La Vaute roped to a guide. I find it hard to believe the above conditions are unheard of at Las Lenas given its similar snowfall, higher winds and lower latitude vs. the French Alps. I believe that soulskier has a rather similar attitude to snow conditions as I do, though no doubt taking advantage of them on a more aggressive basis. He's out there for the powder, the smooth windbuff and the corn but not for the dicier conditions where it's not prudent to ski in "4th gear." When you dismiss places like MRG as being a relevant model for the MRA b/c of some ill-informed perception with respect to the terrain and challenge, then the above statement is exactly what you are saying, albeit unwittingly. Mike Bernstein wrote: When you dismiss places like MRG as being a relevant model for the MRA b/c of some ill-informed perception with respect to the terrain and challenge, then the above statement is exactly what you are saying, albeit unwittingly. Ill-informed perception of the terrain and challenge? Here's the trail map. 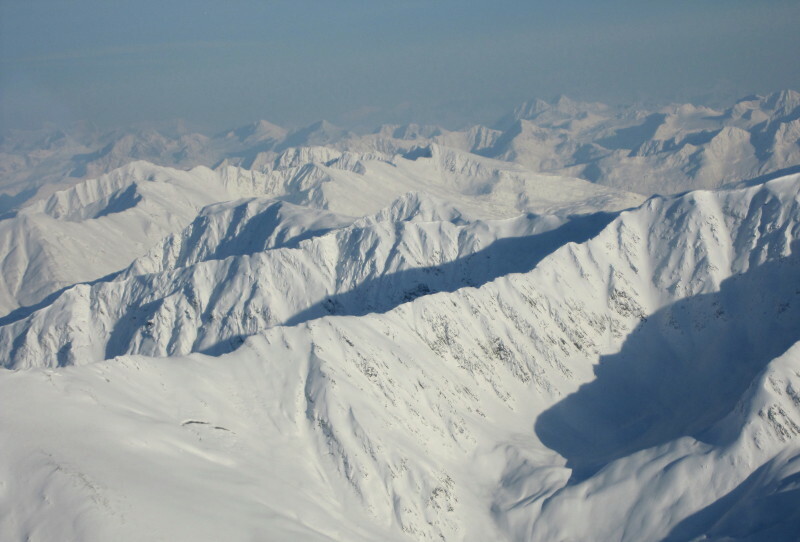 I have stated numerous times that we want to provide lift access to big mountain skiing (similar to Silverton), which this is not. No offense or disrespect, but it's not the type of terrain or snow pack that we are looking for. Please note I do have a ton of respect for MRG and the business model they practice. Please allow me to illustrate. This is more conducive to the type of terrain we are looking to work with. soulskier wrote: This is more conducive to the type of terrain we are looking to work with. Avalanche control, not cheap in terms of labor and other costs. It was interesting discussing this issue last July at the New Zealand club areas. With limited resources often the response is to wait it out and let the snow settle. I believe this is common at Silverton also. Depending upon weather, often the snow isn't powder anymore by the time you're allowed to ski it. Soulskier should be quite familiar with this situation from Las Lenas. soulskier wrote: Ill-informed perception of the terrain and challenge? Here's the trail map. Since when should we judge a mountain by its trail map? If we did that Steamboat's back bowl would provide a "big mountain" experience, which it doesn't. MRG offers as close a big mountain experience as you can get on the EC. 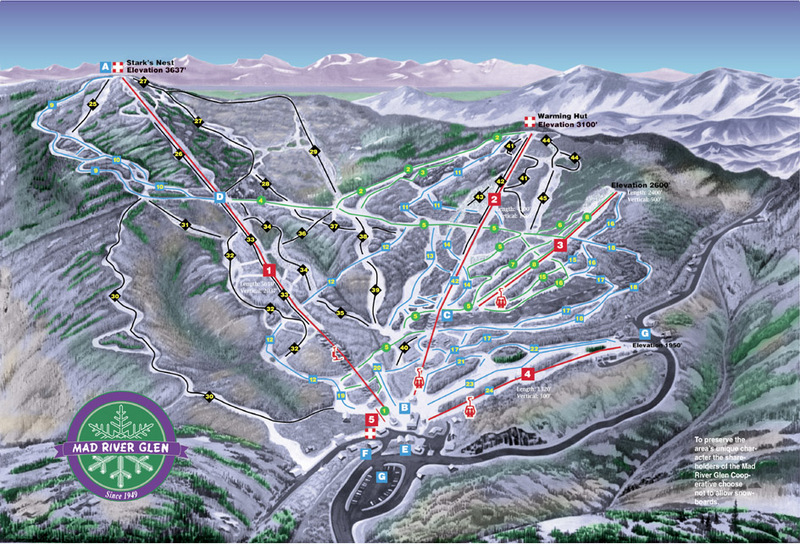 All the terrain on that map is skiable. That map doesn't represent the difficulty and experience well. The snowpack is the only part of that statement in which I do not disagree with you. I'm not sure whether it's on MRG's trail map, but I believe the single is 2,100 vertical at no more than 3 to 1 length to vertical ratio. That usually defines an advanced terrain pod, and the moguls, natural snow conditions and relative tight tree spacing are far more demanding upon one's ski skills than similar pitch on groomed or high alpine terrain. I love it. Your only response is to post the trail map? Really? That's the extent of your knowledge of the place? That's pretty well indicative of the depth of thinking that's characterized the MRA and its predecessors thus far. I can state with a high degree of confidence that a significant % of MRG skiers would absolutely dust you on that hill, irrespective of how badass you think you get when you kick it into 4th gear. Tight, steep EC trees with chutes, waterfalls and occasional bobsled tracks for the full 2000'. The more you dismiss it, the more clueless you appear. Apparently you don't, if your previous statements in the Shames thread are any indication. You came out and flatly stated that MRG wouldn't be a good model for Shames b/c of the terrain/snowpack. This is despite the fact that, within an EC context, they practice EXACTLY the type of business model you claim to aspire to: big terrain, deep snows, environmentally sensitive, collective vibe, focused on long-term sustainability and not short-term profits. Moreover, if this were what you are so focused on, then why waste your time and energy thinking about urban jibber "ski energy centers". BTW, I just love that term you've coined. It takes useless eco-business jargon to an entirely new level. I just hope the nuts and bolts of soulskier's first MRA business plan do not jibe with the rhetoric that has alienated much of his audience here. I have thrown my fair share of at eastern ski areas over the years. But in addition to the detailed weather data I have collected, I try to learn from the reports posted here. I also believe there is no substitute for personal experience and made an effort to visit the "best of the East" when I had an opportunity. While my sample size is limited I suspect it does give me a frame of reference to make more educated comments than soulskier's.